I spent more than a few minutes sitting in this super comfortable chair from Mitchell Gold + Bob Williams yesterday at the Architectural Digest Home Show. 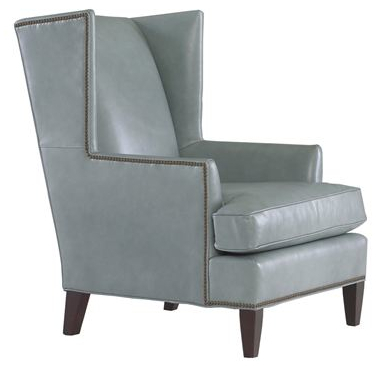 This is the Ashton Leather chair. I couldn’t get a seat at the Margaret Russell talk and the MG+BW space was right outside the entrance to the seminar room. I still couldn’t hear Margaret speak (terrible ambient noise in the Piers! ), but I did enjoy sitting and chatting with various people.